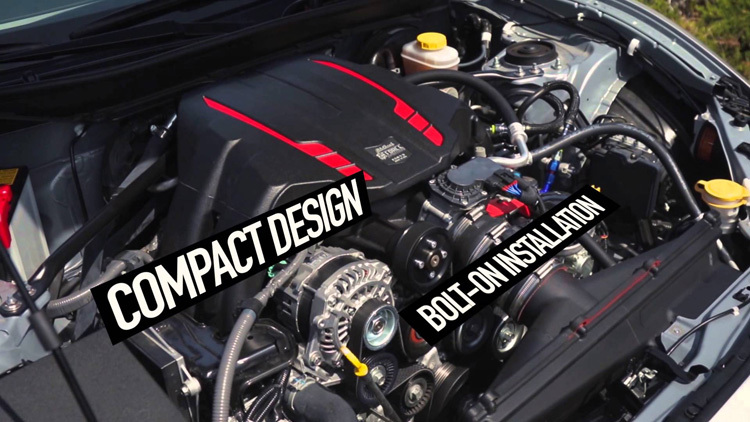 We review the most popular Subaru BRZ supercharger kits available on the market today. This is the ultimate BRZ supercharger kit guide. Stunning looks are gifted from the factory with the Subaru BRZ and the aftermarket tuning scene is currently at its peak with more parts available from huge manufacturers than ever to give your car that unique added touch. There’s no doubt that the BRZ is already an incredible all-rounder in stock form, but we all know it’s missing that much needed power under the hood to keep up with big-power cars on the street or the track. 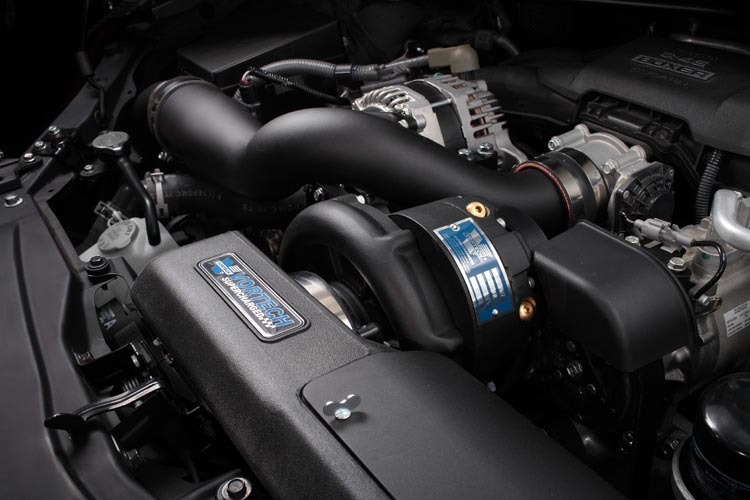 Forced induction could be the ultimate answer to turn your BRZ from a great car into the perfect car and we have some awesome offerings to help you achieve that. In our ultimate Subaru BRZ supercharger guide, we’ll show you the best choices for converting your 4U-GSE engine into a supercharged weapon for the street or the track! Over time, the BRZ tuning scene has flourished and there is more selection available than ever. This means that our options have now been tried and tested long term for reliability. We’ve written this guide to help you narrow down the difficult decisions when it comes to supercharging your BRZ and find the perfect kit for your needs. You may have already decided that supercharging suits you best, however if you prefer a sudden surge of power and turbo noises, we also recommend checking out our BRZ turbo kit article too! To read more about any of these products simply click on the supercharger kit name or photo. 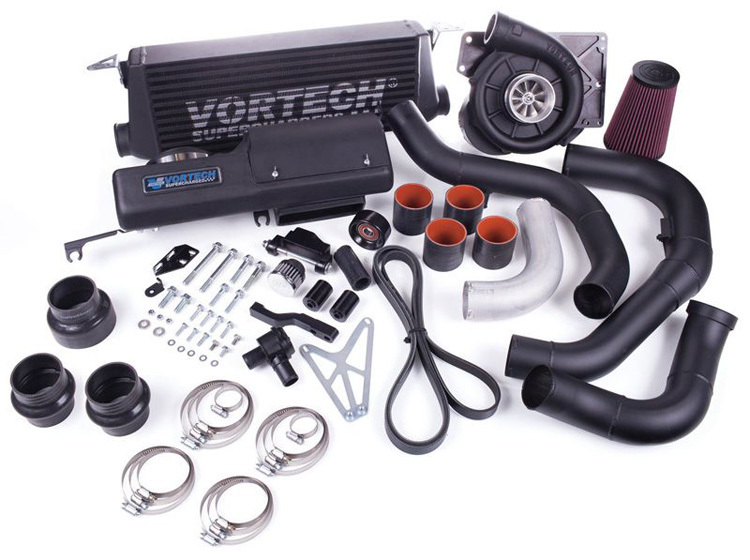 Our comment: US-based Vortech are very well known in the supercharging game for delivering high quality and awesome looking superchargers, their BRZ kit is certainly no exception. Part of the plan with this kit was to make it as easy as possible to install, even with inexperienced mechanics being capable with the right tools. This kit is most noticeable in the higher RPM’s, with many drivers finding it most practical for track rather than street use. Owners have often achieved over 300hp at 9psi with the required supporting mods. If you do opt to use this kit on the street in the US, you’ll undoubtedly be glad to hear the this kit has CARB certification. Our comment: Sprintex bring you the first Twin Screw setup on our list, this means that you will see boost in the lower RPM’s compared to a centrifugal supercharger. This is an ideal option for a road car as it means that you’re likely to use the power delivery more frequently. Owners have reported that the kit runs fantastically well when tuned and run on E85 and it’s undoubtedly one of the more popular offerings on our list. If you’re looking for a fast road setup with CARB certification, this may well be the kit for you! Our comment: This Japanese tuning house undoubtedly needs no introduction, HKS present the third revision of their hugely popular BRZ supercharger kit. With the latest revision now featuring some drastic changes mainly focused around increased airflow, owners have seen around 320hp on E85 and 250hp on 91 octane with paired HKS intake, headers and exhaust. This kit has been tried and tested on daily driven cars for long periods with great results. We would recommend opting for the reasonably-priced optional Flash Tuner which allows you to run varied maps for different fuel types. Want to run 91 octane on the street and E85 at the track? This could well be the perfect choice! Our comment: Another popular offering is the second twin-screw supercharger on our list, this time from Edelbrock. This is one of the best looking and well thought-out kits out there, which is quite possibly the closest to an OEM-look you will get which also comes with fantastic reliability. Much like our previous twin screw option, this kit delivers increased low down power delivery which makes it great for street use, along with it’s CARB certification it’s definitely a strong contender for a street car. Our comment: Kraftwerks bring you the most reasonably priced offering on our list. The initial quality of the kit doesn’t reflect the reasonable price as it’s both good looking and good quality. Despite having CARB certification, we found this to be more of a track setup than street. Although this all sounds great, poor fitment and belt reliability issues have left it with a lower score. We recommend searching for your own opinions in case an updated version is released to fix this, in which case it could be a great value kit! 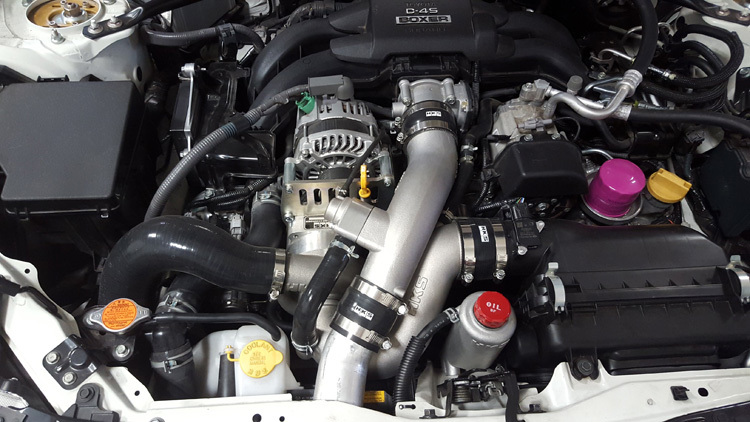 To pick our winner from this choice of BRZ supercharger kits we looked at a number of criteria; ease of installation, power levels, upgrade potential and price point. Based on these criteria we have chosen the HKS GT Supercharger System V3 to be our winner. As an all-rounder, we couldn’t help but feel that the HKS GT Supercharger System V3 was the best option available for your BRZ. Despite already being a great kit, the optional Flash Tuner made this hard to beat as we love the ability to switch between tunes for different uses. All five options undoubtedly have their positives and if you’re looking for a specific need such as low down power on a daily driver, alternative options may well suit your needs better. We highly recommend that further research is done based on our guide. 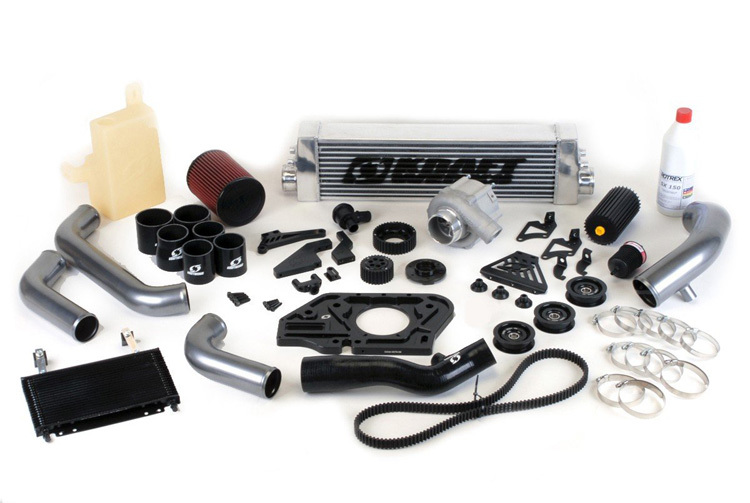 There are often additional parts, tunes or upgrades for base-level supercharger kits that may be either vital or purely suit your preferences. Looking for a supercharger for your Toyota GT86? Our GT86 Supercharger guide is written just for you.